Anyone may need to fight for survival because of unforeseen circumstances. There are the basic survival tips that everyone has heard, but those are not the only things that you should know. Unusual survival tips are interesting to learn about and may mean survival when what you know now isn't enough. 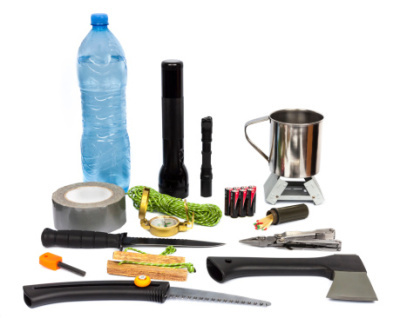 Here's a good read about survival gear, check it out! If you don't have any equipment with you, then finding food can be a struggle. You can still catch some fish even if all you have is the shirt on your back. Hold the corners of the shirt in front of you as you submerge it under the water. Now spit above it. Soon you will see swarms of minnows trying to eat your spit. Jerk your shirt out of the water and you have fish to eat or use as bait. To gather more awesome ideas on emergency food, click here to get started. Tampons are a very useful survival item that most people don't think about. If you take apart a tampon you are left with a plastic tube, a wrapper, cotton, and a string. Take everything out of the wrapper except a little cotton and tie it off and you have a bobber to tie to a fishing line. Starting a fire or bandaging cuts and scrapes can be done with the cotton. You can tie things together with the string. You can even filter out sediment from drinking water by drinking it through the tube filled with cotton. If you are lost, then a compass is a valuable tool, but most people don't carry one with them all the time. If you are wearing a watch then you can make one. If the hour hand on your watch is facing into the sun, then the north/south line will be directly between the 12 and hour hand with north being away from the sun. If it is Daylight Savings Time, then you will have to use the 1 instead of the 12. If you are in the Southern Hemisphere then the north will be closest to the sun and the 12 is what you will use to point at the sun. Not being able to find a source of water is a big problem. Luckily, there is an easy way to get water from the ground. Drape a tarp over a hole you dig in the ground that is in direct sunlight. Place a bowl or other container in the hole and secure the tarp with heavy objects around the edges. Then all you have to do is put a pebble in the middle so it weighs down the tarp a little bit and you will have water in your bowl in a few hours. The water from the dirt will be evaporated but will be unable to escape the hole. It will hit the tarp and then run down to where the pebble is weighing the tarp down and drip into your bowl. Kindly visit this website https://www.britannica.com/topic/survival-training for more useful reference.